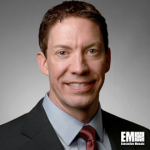 Brian Sinkiewicz, former senior vice president and general manager of Textron Systems‘ (NYSE: TXT) weapon and sensor systems business, has been named SVP of airborne solutions at Elbit Systems‘ U.S. subsidiary. He will oversee performance, customer engagement and growth efforts for Elbit Systems of America‘s portfolio of airborne products designed for U.S. and international defense customers, the company said Tuesday. Those offerings include cockpit and helmet mounted display systems; laser and dual-mode seekers for precision-guided munitions; aviation threat detection systems; and embedded avionics. In his previous role, Sinkiewicz managed Textron Systems’ work with the U.S. Air Force, Army and Special Operations Command in areas such as strategic nuclear systems, precision-guided munitions, aircraft weapon integration and advanced materials. He previously served as VP of precision weapon systems, area weapon systems VP and director of international program capture, among others. Sinkiewicz also worked at Raytheon (NYSE: RTN) as a contract manager.